Parents these days have so much choices on items to be made as keepsake for their kids so that they can document and reminisce their childhood together when they are older. I didn't have such options when I had DinoBoy a decade ago, sure there were other options such as brush made from baby's hair, gold plated foot print to frame up etc but I wasn't interested in all those because being someone who is practical I feel those things are a little bit useless (no offend to any parents who got those for their kids), so all I have are photographs and this blog. When The Story Tailors contacted me to do a review their book The Magic of My Name I was excited! Like a little girl who is going to receive her new toy kind of excited! 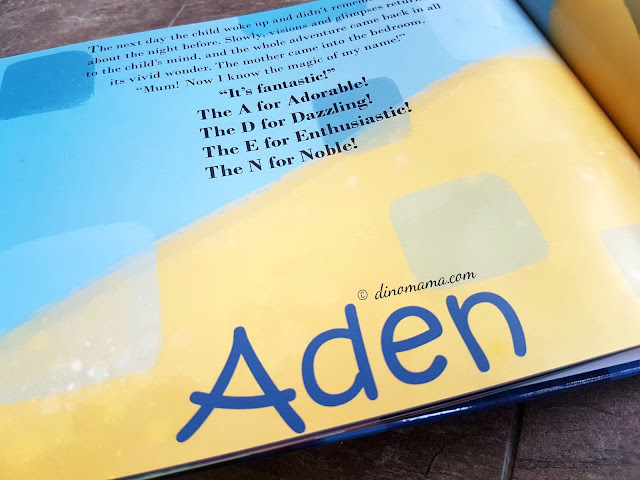 After visiting their website, I love their idea of teaching children to value their name and really be proud of it by attaching a special meaning to each letter of the child's name and incorporate it in the story. However, as much as I like this personalised book, it is not suitable for our Tween (ya, he proudly called himself that earlier this year.) as the suitable age range is 0 to 8 years old, but it is just a perfect gift for a friend who just welcomed their #2 boy earlier this year. When I received the book, I fell in love with it immediately because it was such exquisitely made. As it was for a toddler I ordered the hard cover version (you can opt for paper back too) and I was not disappointed. 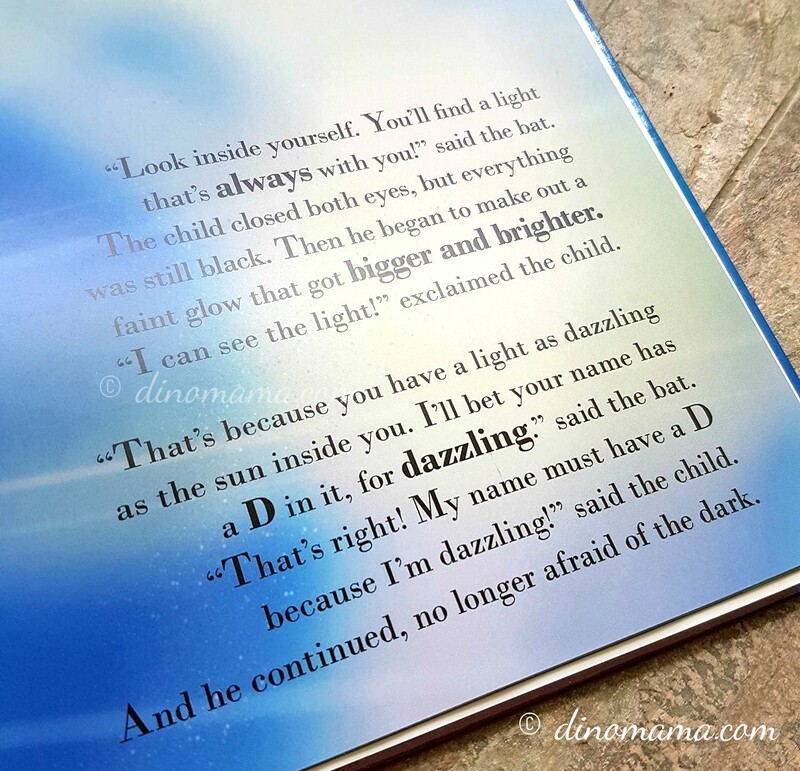 The book felt sturdy with nicely bounded pages which definitely could withstand the rough handling of a toddler. 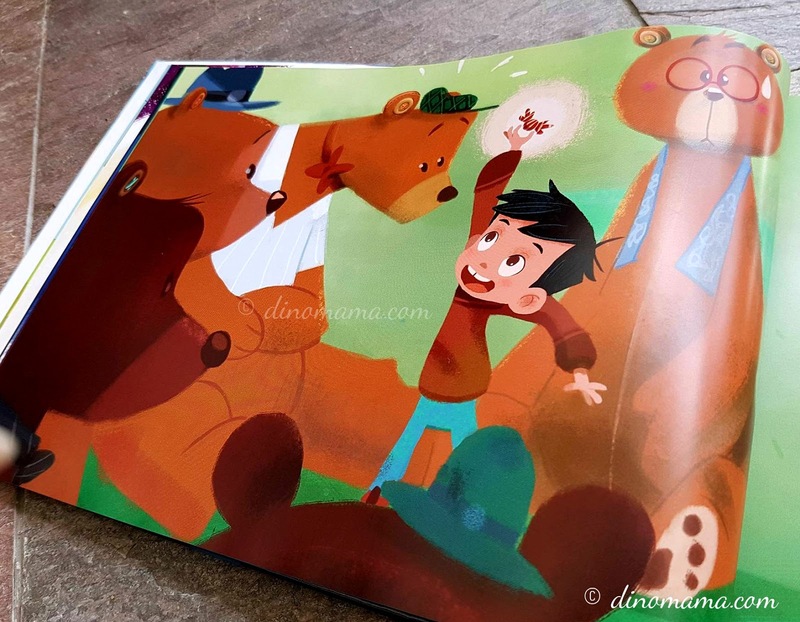 I am impressed with the quality because each page is printed on thick glossy paper, which will not easily get torn when mishandled by a younger child. 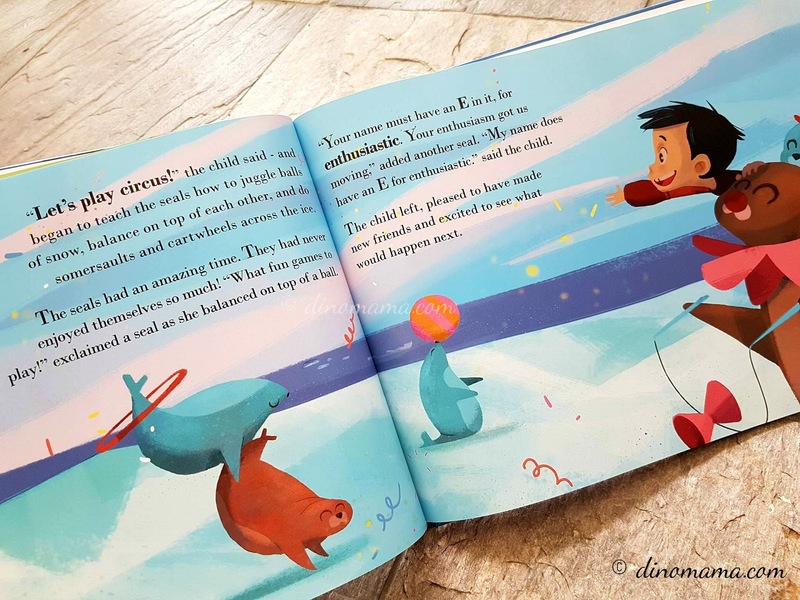 The illustration are colorful and cheerful that will appeal to the kids to keep on reading. So the story starts one night at bedtime, the boy asked his Mum about his name, she replied that his name has a special meaning but as it is time to sleep, said she will tell him another day. A little fairy heard the boy and came seeking the boy when Mum left the room, promising him that he will find every thing that he is looking for about his name. While discovering the meaning of his beautiful name, he traveled through green valley, thick woods, vast desert, braved through deep dark wood, walked with a chatty bush through a forest, played with seals at North Pole, sat on an Ostrich who bring him across the green meadow where he met a sad Knight and helped him mend his broken sword. Do note that there a a few stories so your story book may be different from ours. Oh my! What an adventure! Our sweet little boy finally know the meaning of his name! A name sets us apart from every one, gives us an identity and personality, it should be one of the first word that every child learn. I find it heart warming that The Story Tailors took a step further with the personalized story, attaching a positive meaning to every letter of the name thus making the name even more unique and meaningful to each child. 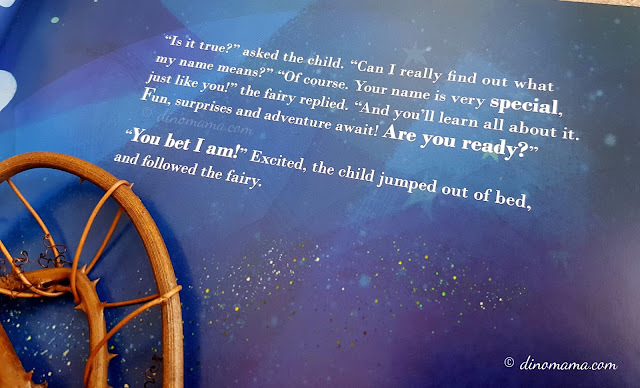 However, though the website says the book is targeted for babies to 8 year olds, I think this book ill be too lengthy to be a board book for toddler. Parents can read it to them but they may not be able to sit through the whole book but they are great to start reading routine with them. It will be a great book for 3 years old and up kids. 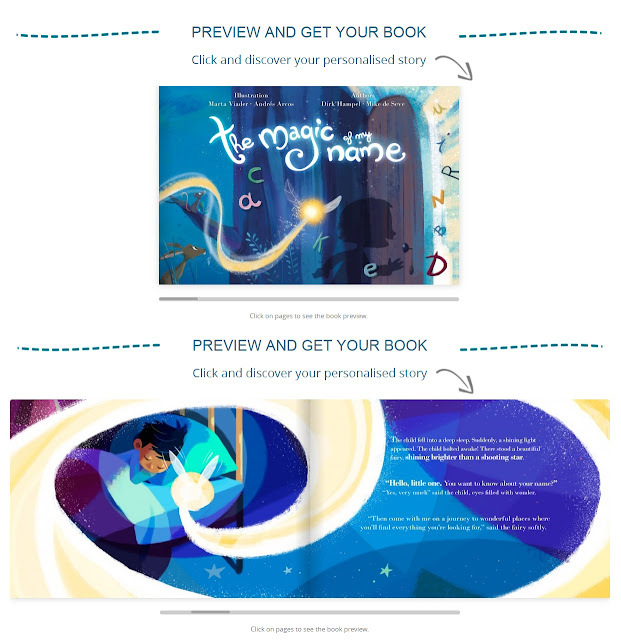 I mean, who would not be excited to receive a book that tells a story with them as the main character in it? 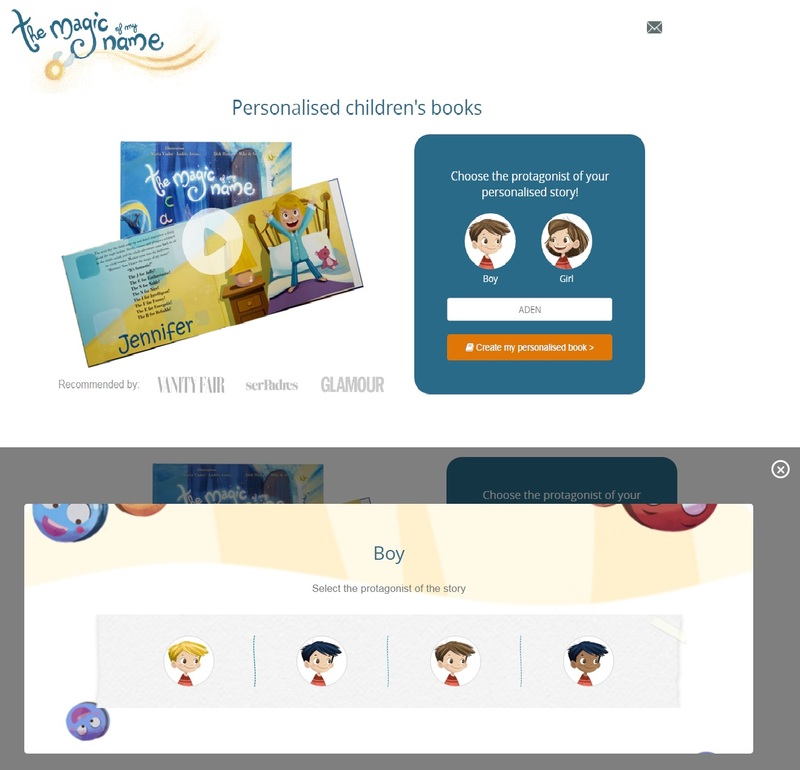 Personalising the book is very simple, you can start doing it when you are at The Magic of My Name website, simple choose gender of the character, key in your child's name, click "Create my personalised book" and you are almost done! 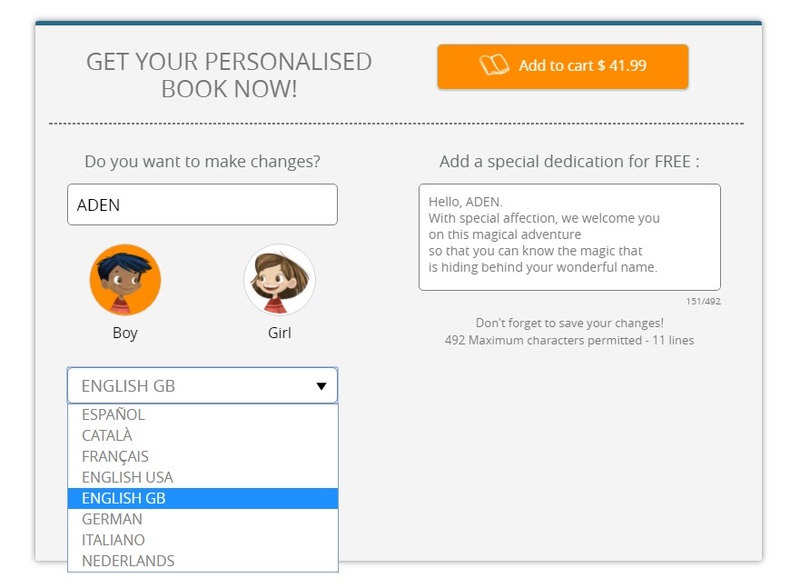 The next step is to choose language (choice of language is limited and Chinese is not available.) and if you like you can add special dedication for your child to be printed on the front of the book. That's it! You are done! Remember to save the changes and proceed to preview your book! 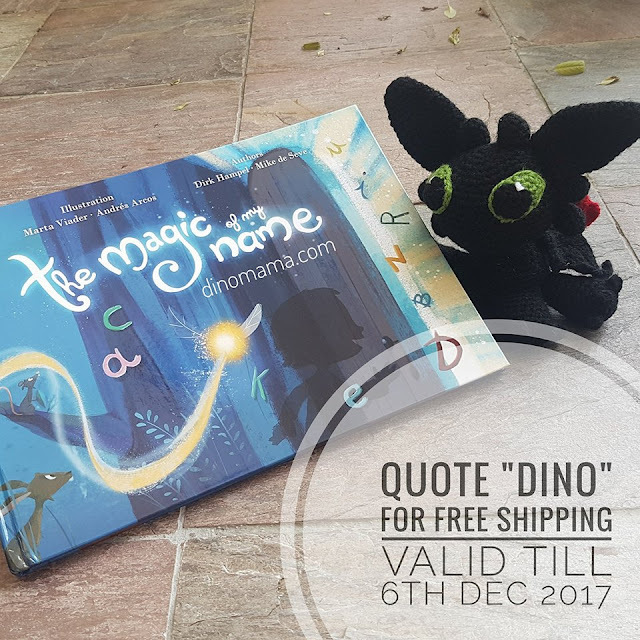 With Christmas approaching, why don't you order this personalised book as an unique special gift for your child or even nieces and nephews? Founded in 2015 in Barcelona, The Story Tailors is formed by a team of professionals with wealth of experience in creating children’s cartoons. 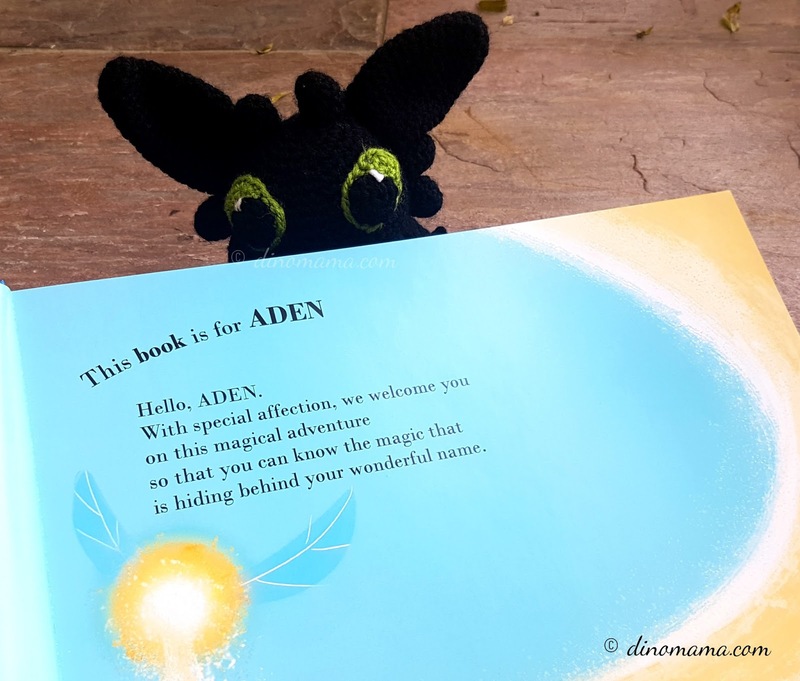 Its mission is to create stories that are both magical and moving, sparking an interest for reading and giving parents something that is both educational and entertaining for the little ones in the house. 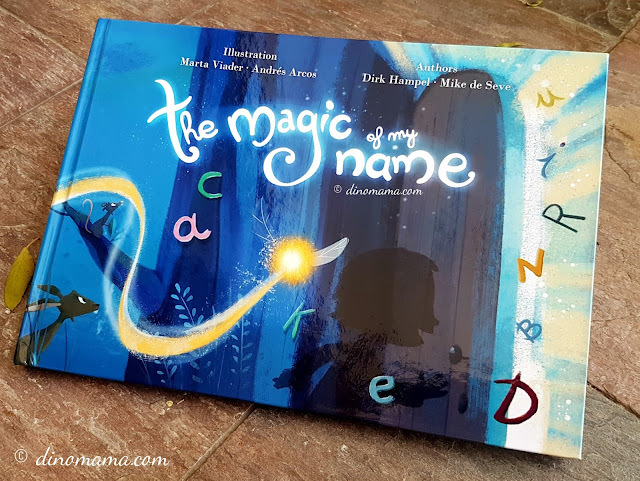 Disclaimer : We received a copy of The Magic of My Name Personalised Children's book for the purpose of this post. All photos in this post belongs to The DinoFamily, you may not use it for personal use without our permission. All opinions in this post are 100%.